Versatility and Creativity Awards! | details in the fabric..
I’ve been nominated for the Kreavtive Blogger Award and the Versatile Blogger Award by two wonderful bloggers! The first blogger who kindly gave me these awards is the wonderful Andy, who has an incredibly inspiring and thought-provoking blog, My story to you.., which gives me a daily boost and smile on my face every day. He has an incredible poetic gift, just a few simple lines speak honesty and hope. His kindness to me and his compliments about my blog, as well as his heart-warming love for the world around him and his lovely daughter, makes him a wonderful person, and a kind friend to me. Thanks so much Andy! So, according to the rules, I have to share a few things about myself. I’ve chosen just a few random things to entertain you. All true of course! I have a highly attuned sense of smell and taste. I am what’s called a ‘supertaster’ because I have more taste buds in my mouth than most other people. I used to be addicted to chewing gum. I had a pack a day. I memorised all of the presidents of the USA, in order, when I was 7.. and I still remember them all. I get cold really easily. I held a 4 inch Giant Madagascan Hissing Cockroach when I was 6. Zorgor – Zorgor posts some fantastic abstract art, bold colours and always experiment with new techniques (for example the recent container paintings).. I really enjoy his work, and he is a very kind friend to me. The Art and Illustrations of Laura Davies – Laura is incredibly talented, I absolutely love her sketches. I would love to be able to to draw like her! Kitty Bloger – Kitty Bloger is an adorable and hilarious collection of cats! Jokes, pictures, animations, videos, everything kitty-related! Who could ask for more? Any Lucky Penny – Adriana has got a wonderful collection of just about everything on this beautiful blog. I especially enjoy reading about her travels and looking through her stunning photography. Purple Booky – This is a lovely blog, with endless personal reviews of books! If you’re ever stuck on what to read, visit Purple Booky! I have also been nominated with a few other awards, and cannot wait to pass these on to some more of my favourite blogs I have in mind! So if you aren’t on this list, please don’t be downhearted! Previous Petrol, Beauty. Oxymoron? Next I gots the cold blues.. Thank you so much, I am truly very very flattered, and appreciate the compliment very very much! Congratulations on your awards too. You’re very welcome – I really do love your work. Thank you thank you so much!! That was very kind and sweet of you :) this made my day! I am glad you enjoy my travel blog! There still more destinations to come :) Muchas gracias! 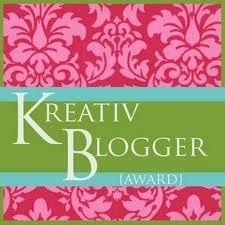 Congratulations on your nominations and having such an awesome blog :). And thank you so much for nominating me :)!! Wishing you all the best!! Thank you so much!! :) It’s kind of crazy — I was just about to award you two awards! If I ever get the post finished… Someone else gave me Versatile Blogger too, and as I got bogged down writing the post someone else gave me the Sunshine award. I incorporated that into the same draft post last night. And now you’ve graciously awarded me twice again! At this rate by the time I get my post done, the people I award — including you — may be getting awards by the dozen! Haha! That’s crazy! :) Thank you in advance!! So sorry to annoy you with this question, but I have no idea really what the awards are or what I am supposed to do…eek!! I tried searching on wordpress but did not really find a good answer just more questions. If you could kindly tell me the rules or protocol so I can properly be involved that would be sooooo awesome. Oh, sure! I should have explained in the post! Sorry! Basically they’re just a way of sharing a bit of love between blogs, they don’t exactly ‘mean’ anything, but it’s just great to receive them and great to recommend your favourite blogs. As a group Promoting Music and Television from Madagascar, I find your blog pretty interesting, “Europes First Liquid Nitrogen Ice Cream Parlour in Camden …” I will keep checking for additions.